Patient satisfaction can have negative connotations to it. More importantly considering the patient’s experience in our clinical setting is important. Dr. Hope shares with us her insights on more than just patient satisfaction scores and why we should be interested. Improving patient satisfaction is as simple as increasing communication with the patient. Patient satisfaction benefits both patient and provider. Why is it good for patients? Having an appreciation for what we do. Introduce yourself in a way that the patient can hear you and understand. Let them know what's going on regarding the plan of care. 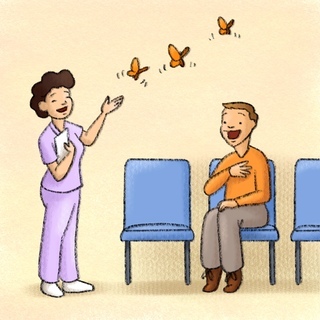 Sit down when talking to the patient. Introduce the colleague taking sign out on the patient during handoff so there is continuity of care. Pruthi, Set al. “Vision, mission, and values: From concept to execution at Mayo Clinic," Patient Experience Journal: (2015) Vol. 2 : Iss. 2 , Article 21.